I'm a big fan of the PBS Digital Studios series Space Time. If you're a physics geek like me you catch pretty much every episode that's come out. And if you aren't, you should. The series covers the numerous areas of physics from classical mechanics, to special and general relativity, to quantum mechanics and its various interpretations. Some episodes get a little deep into the equations, but that's the good part. It's fun to challenge yourself a bit. It's a great educational video series. This episode covers a bit of special relativity, which is my favorite scientific theory. Watch it. Enjoy. Get addicted. A Critique Of "Why I Am Not an Atheist Anymore"
One of the first things that bothered me about Atheists is how they would often act like they had proven something, when all they can and have ever done is try to do dismantle arguments and discredit evidence for Theism. A classic question is, ‘What proof or evidence can one give for Atheism?’. Seriously, try to think of one and you’ll be stuck. I can think of one. It's not true that you can't prove a negative, although most people don't realize this. There is at least one way to prove a negative: demonstrate that the idea or thing is self-contradictory. I attempted to do just that in my piece Why I'm An Atheist with god. I don't think god is a fully coherent concept. Not many atheists are aware of such an argument. 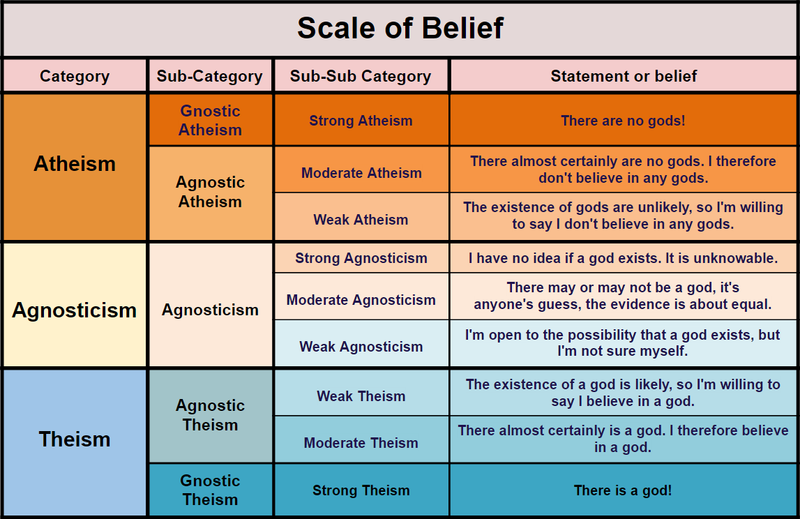 But an atheist is just someone who at the bare minimum lacks belief in any gods. It's what I call "bare minimum atheism." Once you meet that classification, you're an atheist. So an atheist doesn't have to prove god doesn't exist. An atheist merely has to say at a bare minimum, "The existence of god is unlikely, so I'm willing to say I don't believe in god," whereas the agnostic says, "I have no idea if god exists. It is unknowable." In other words, atheism is a claim to belief, agnosticism is a claim to knowledge. As Neil Degrasse Tyson said, “There is no Anti-Golf… why is there Anti-God?” He’s an agnostic, which is really what most Atheists really mean when they say they don’t believe in God. With the Trump cabinet shaping up to be a secular liberal's nightmare, this holiday season it's more important than ever to give the gift that really matters. And what gift is that you ask? That gift is donating money to any of the leading secular or atheist organizations that fight for our rights as atheists so that we're treated equally and free from discrimination, and that maintain the wall of separation Jefferson wrote of. So just the other day I got out my credit card and I donated to three of the nation's leading secular organizations dedicated to keeping America secular and promoting and advancing the secular worldview. They need your money now more than ever. Secularists might be facing in the next presidential administration the toughest legal and policy battles they've ever had to fight in more than a generation. These organizations will need money for lawyers, for outreach, for educational campaigns, and for fighting the numerous legal battles that are surely going to happen once Trump takes office on January 20th. I do my small part on my little corner of the web but the real soldiers on the front line maintaining the wall of separation are the activists in organizations like these. So please consider donating even just a small amount of money, $10 or so, to help them fund the many challenges that the Religious Right, under Donald Trump and Mike Pence, are going to push. This season please give the gift that really matters. American Atheists, Inc. is a nonprofit, nonpolitical, educational organization dedicated to the complete and absolute separation of state and church, accepting the explanation of Thomas Jefferson that the First Amendment to the Constitution of the United States was meant to create a "wall of separation" between state and church. Their mission is to increase the visibility of and respect for nontheistic viewpoints in the United States, and to protect and strengthen the secular character of our government as the best guarantee of freedom for all. You can even donate in Mike Pence's name by clicking here. 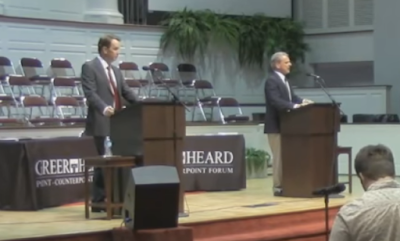 On a question of the week over on the Reasonable Faith site a questioner asks Dr. Craig about Sean Carroll's response to the fine tuning argument he made during their debate on God and Cosmology back in 2014. Craig wrote a lengthy response to Carroll's rebuttal and I want to examine his response and show why I think it's wrong. At one point during Carroll's rebuttal, Carroll argued that god doesn't need fine tuning; it's a necessity only on naturalism since only material beings could live under the right physical conditions but that god would be able to create life without physical fine tuning (like through perpetual miracles), very similar to what I wrote earlier this year in my short rebuttal to the fine tuning argument. Of course, the theist thinks that God could have miraculously sustained life or perhaps created a universe operating according to different laws of nature which were not fine-tuned. But how does that do anything to subvert the argument? When it is said that were the values of the constants and quantities found in nature to be altered, life would not exist, one is implicitly assuming ceteris paribus conditions—“all else being equal,” that is to say, assuming no miraculous interventions take place. This is, after all, an argument aimed at showing the explanatory inadequacy of naturalism, not at showing that God could have created the universe in only one way. It's not really supposed to defend either physical necessity or chance. It's supposed to show the vacuousness of theism as an explanation of fine tuning. It's offensive, not defensive. The argument that god could have created a universe that wasn't fine tuned for life, yet still had life in it would literally be a miracle, and that would be good evidence for god since physical science wouldn't be able to explain how life could exist under such inhospitable conditions. On naturalism it's not an option that life exist without the right physical conditions for it, it's a necessity that it does. But a god wouldn't need to do this. God is not constrained by the laws of physics. If god wanted to leave us good evidence he exists, he had the option of creating life via some kind of perpetual miracle, inexplicable in principle to the natural sciences. As far as assuming ceteris paribus conditions, doing so assumes that god isn't doing the very thing he could do to show naturalism is false: give us proof life is a miracle. And because debates of theism involve the potentiality of a miracle as an explanation, in this instant it's not wise to assume ceteris paribus conditions. Contrary to what Craig writes, this inclusion of god's ability to create life via miracles does indeed help the naturalist's case because this would have been the best option for god to show us he exists because it would rule out all possible naturalistic means to explain life. That would potentially be a knock-down argument for theism. Instead, the theist is basically saying god chose to create a universe with life in the one way it would have to exist if naturalism was true: physical life forms dependent on the right physical conditions for them to exist. Why would a god do this? Well, perhaps god had no choice. Since free will is logically coherent, that applies to god as well. Being all knowing and all powerful does not get you out of the logical dilemma that libertarian free will necessitates. And since a timeless being must have a mind that never changes, god's decision to create our world would have to have existed eternally, with no other option being possible. 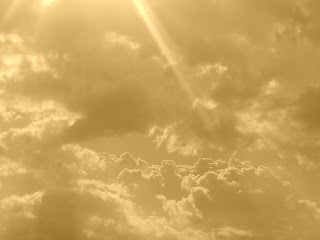 So on theism here we are! 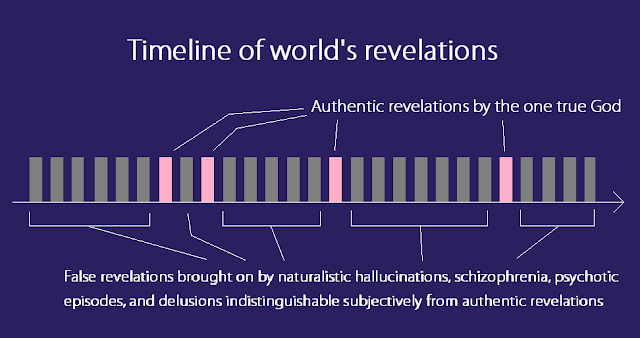 No other world was technically possible. It just is. Theism fails to have any explanatory power over naturalism. Liberals love to complain about how inequality is bad for society and that we need to do something about it, but many free-market types would tell you that inequality is good. They'll say that a meritocracy will inevitably result in inequality because some people will naturally work harder than others and make more money. And those who have more money and goods will incentivize those who don't to work harder. Economic equality, they'll say, is socialism! So let's talk about what being against economic inequality is about. For most on the Left, fighting economic inequality doesn't mean that we use government to make everyone's income equal no matter that they do or how hard they work. It's also not about implementing a maximum wage, or just taxing the wealthy into poverty. Being against economic inequality is recognizing we have rigged political and economic systems that cater mostly to the needs of the wealthy and elite and as a result the total amount of wealth and wealth accumulation in the world is increasingly going to a smaller and smaller class of people at the very top of societies. This top-heavy concentration of wealth is bad because as the lower and middle classes maintain less wealth, they have less purchasing power to drive their economies. Creating economic policies that cater to the lower and middle classes that allow them to receive and retain more of the wealth generated will give them greater purchasing power which will better drive the world's economies, and this will secure better living standards for the vast majority of people. 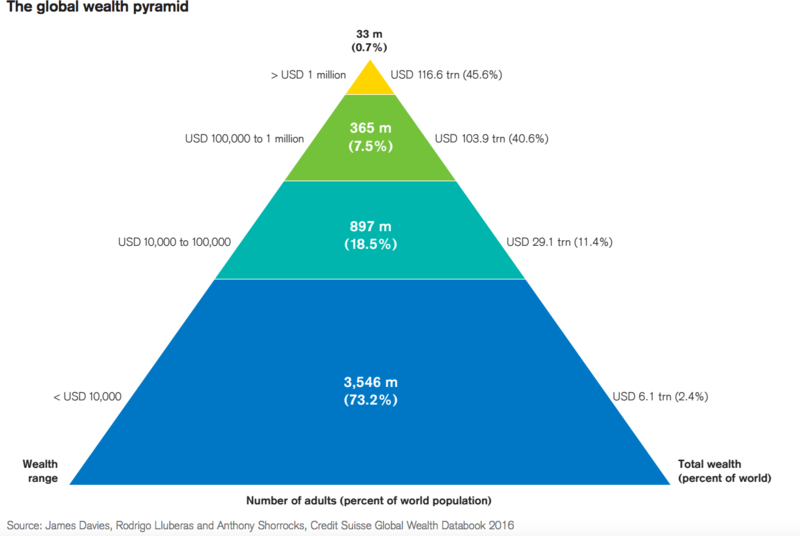 Consider that the top .7% of the world's population now owns 45.6% of the world's wealth according to this new graph done by Credit Suisse. Less than 1% owns nearly have the wealth on the planet. 73% of the people on the planet have less than $10,000 and their total amount of that wealth is just 2.4%. The wealthy have rigged the systems in almost every country to favor themselves and they do so in such a way that reduces or stagnates wealth accumulation in the lower and middle classes. Fighting to change this system around the world is what fighting economic inequality is. Pew has released a new survey reporting that Jews and Christians worldwide have on average higher levels of educational attainment than the unaffiliated do. On some Right-leaning sites this is being touted as a rebuttal to the often heard claim that atheists are more educated than Christians, or religious people in general. As I sit home on this blustery frigid night remembering Christopher Hitchens on this, the five year anniversary of his death, I'm reminded of how important his point of view was on the issues. Although many younger people learned of Hitchens from his involvement in the New Atheism movement, he had spent over 30 years as a journalist covering international affairs, economics, and social policies. He always had an interesting angle on the current events of the day that you might not have considered even if you typically agreed with him and he always knew how to explain it in brilliant prose. And it was from this that he was best known. What would Hitchens have to say about the current state of affairs in US politics? Of Trump's election? Of ISIS and the war in Syria? Of trigger warnings, microaggressions, and safe spaces all over college campuses? Of PC culture and the rise of the Alt-Right? If Hitch was still writing for Vanity Fair would he and Trump get into a Twitter war? (Assuming Hitch would eventually make a Twitter account.) These are questions I've been asking myself over and over again these past few years. I know where Hitch would fall on most of them but I'd have no idea exactly what he'd write and I'm sure there'd be plenty of surprises if he were here speaking and writing about them. The argument takes the conservative estimate of how long our species has existed for. It may be over 300,000 years by some estimates, which would strengthen Hitchens's point considerably, but he opts for the low end to show it's enough to make his point. Is Hitchens correct in his assessment? And is this a good argument? On the 5 year anniversary of Christopher Hitchens's death I want to pay homage to his impact on me and then in a second post examine one of his strongest arguments against the existence of god. Five years ago I remember sitting in my cubicle at my godawful former job in New Jersey and getting a text from a friend that read "My condolences." Within a minute I reasoned that this could only mean Christopher Hitchens has died. His health had taken a turn for the worst and in his last public appearance several months prior he had looked ghastly and frail; the chemotherapy taking its toll. So I Googled it and confirmed this suspicion: Hitch had died. I had been hopeful along with many of his supporters that he would recover despite the odds, but they were just stacked too high against him. I remember commuting home on the PATH train back to Manhattan that night severely depressed, thinking life had no meaning for me anymore. My hero was dead. There was just no point to living anymore. Another friend of mine texted me asking if I wanted to hang out and drink with him, and I said I couldn't because someone I close to me had died. Although he wasn't a friend, Hitchens became my obsession ever since I caught onto the New Atheist movement back in 2009. (Read here for my first ever post about him.) He stood out as its most interesting expositor. I loved his polemic style and his sense of humor in the way his jokes made subtle jabs at his intellectual opponents. 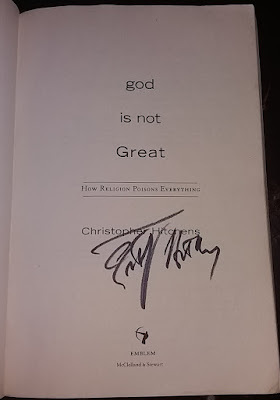 I watched everything I could find about him on YouTube and I bought several of his books, including his god Is Not Great, which I devoured, and which I was lucky enough to have him personally sign after his debate with Tariq Ramadan on whether Islam was a religion of peace, just about a year before he died. And let me tell you, seeing Hitchens debate live is so much better than seeing him debate on YouTube because the energy from the audience's reaction to his wit is palpable. When he died I moved on of course towards new intellectual heroes but Hitchens will always have a secure place in my prefrontal cortext. He had a huge impact on my life. He convinced me that mere secularism is not enough, and that the world needs some antitheists to make the case that religion has enjoyed its privilege for far too long and shouldn't be tolerated as something sacred that's beyond criticism. He made me want to be an intellectual, to be knowledgeable of worldly affairs, to care about reason and evidence and to despise ignorance in all its manifestations. Oh, and drink tons of whiskey, which I've been doing. And so now I'm in the atheist community, dedicated towards fighting the good fight for defending atheism, science, and reason, retarding religion back to where it belongs (in the domain of myth), and for promoting secular humanist values to make the world a better place. 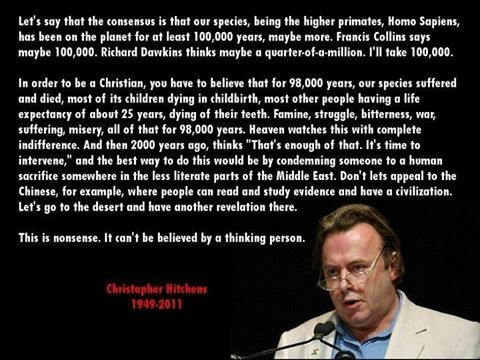 And you can thank Hitch for that. My Site Is Selected As One Of The "Top 30 Atheist Blogs And Websites Every Atheist Must Follow"
If you've noticed a change on my site recently it's because it now carries a "medal" of sorts indicating my site has been awarded as a "Top 30 Atheist Blog" by feedspot. I certainly am honored for the recognition. I've been blogging for 6 years on this site and I don't plan on stopping any time soon. On the list are such giants as Hemant Mehta's Friendly Atheist blog, which is huge on the web, and Atheist Revolution, another huge site, along with several relative unknowns. Now while my site is relatively unknown compared to the heavy hitters above, I do hope it can expand in the future to become a major player. It all depends on how much I can dedicate myself to writing good quality blogs that arouse people's interests. I tend to focus mainly on counter-apologetics where I deconstruct religious arguments I find unconvincing, as well as make my own arguments for atheism. This means that sometimes my blog posts are mired in technical detail that will only appeal to someone interested in the argument. I don't often focus on commenting on the latest news in the secular/atheist communities because there are plenty of other blogs doing that much better than I can, and I just cannot blog at the frequency required to do that due to work. If blogging was my full time gig, then maybe. So while this is an honor to be recognized I feel the pressure to live up to it. I hope that I can churn out worthwhile content in the future. And as winter is almost here and I am not fond of cold weather, I do plan on blogging more frequently. I am also seriously considering a YouTube channel since I've always wanted to do that and doing so will certainly increase my exposure. The only problem I have with it is the amount of time it will take to do so. Which has always been my problem. But, I do have many ideas planned in the future for 2017 with my local atheist community in terms of content creation, so stay tuned. Here's to a productive 2017! Do We Have More Evidence For Jesus's Existence Than For Socrates's? A popular claim by Christians towards atheists who are skeptical that Jesus was a historical figure is that we have more evidence for Jesus's existence than for Socrates's, and that would mean that anyone who accepts Socrates as historical figure but not Jesus is being inconsistent by unjustifiably applying a higher standard for Jesus. So is it the case that we have more evidence for Jesus's existence than for Socrates's? The answer is no. Here's why. First it's important to note that Jesus and Socrates share many similarities as figures. Both are highly revered. Both were considered fathers of important movements (Jesus of Christianity, Socrates of Philosophy). Both never wrote anything themselves, and for both their knowledge was spread through their disciples. 1. Unlike with Jesus, we have dozens of eyewitness accounts who wrote about Socrates and whose names we know. In some cases we have the titles of the books and quotations of them from later works. In two cases the books survive. From Plato and Xenophon we have whole books preserved. We have nothing like that for Jesus. 2. We have eyewitness accounts from critics of Socrates. The Clouds by Aristophanes is a play written specifically to make fun of Socrates that Socrates even attended. We have nothing like that for Jesus. So much is preserved of what Socrates said and so little of what Jesus said, despite Jesus founding a great church that became dedicated to preserving everything written about him. It's amazing that we have no written eyewitness accounts of anything about Jesus at all given that mission of the church. You'd think we'd have volumes of eyewitness accounts, but we have none. And that's why we actually have more evidence of Socrates's existence than Jesus's, and why it is not being inconsistent to think Socrates was a historical figure and Jesus was not. 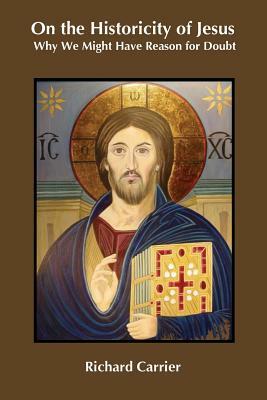 For more information on this I highly recommend reading On the Historicity of Jesus, by Richard Carrier. The New Testament is not an eyewitness account: Paul never saw Jesus in person, and the gospel writers weren't eyewitnesses either. About a year ago some guy came up to me in Union Square park and handed me this piece of paper. It spoke about what wisdom is and the dangers of bad habits. We had an interesting philosophical discussion, that included at one point me convincing him religion and god are not necessary for wisdom. Now, aside from some grammar errors, I mostly agree with his idea. At the time I was quitting smoking and I was aware of the dangers of bad habits. It also reminded me of the bad habit I have of laziness. I can easily spend all day watching stuff online and not being productive. I really want to get a YouTube channel up and running but its going to take a lot of work. A lot. And working full time, balancing a social life, writing for this blog, and trying to maintain a YouTube channel will be difficult. But I feel that if I just cut out the time I waste procrastinating I could do all of these things and reach my highest potential. We spoke about doing good for the world and went into what bad habits keep each other down. It ended on a very positive note. The man seemed genuinely interested in making the world a better place and spreading wisdom, and I seconded that desire. I wished him well and I went home. My answer to this question is that it all depends on what you mean by "racist," obviously. That is the first question anyone should ask when asking this question to themselves or to anyone else. You need to first define what it is you mean by a racist, and then you need to either show that Donald Trump falls into that category, or doesn't. Here's the thing: I'm not sure I can define all the relevant aspects of exactly what a racist is, even though I can certainly give you examples of racism. I'm not sure I know exactly where that blurry line is where true racism becomes non-racism. That line is on different ends of the spectrum depending on who you talk to. For example, some people think that if you merely make a joke that makes fun of a race of people — what many would consider a racist joke — just one time, then you're a racist for the rest of your life. Make one racist joke, you're a racist for life. Other people would say, no, it takes a little bit more than that to be a racist. You have to show a consistent pattern of making racist jokes. Then you're a racist. Other people would go further than that and say, yes, you have to show a consistent pattern of making racist jokes, but it depends on the context. If you're making them in the context of friends that you know very well with no racist intentions and you're just making a joke that you think is funny and everyone in your company is OK with it, then you're not a racist. But if you're doing it in the context where people are not comfortable with it where you have racist intentions, then you're a racist. OK. Some people would agree with that and then go a little further and say that that doesn't really qualify you as a racist — you actually have to discriminate against people. You actually have to not treat people equally when you're dealing with them in your personal life and also in your professional life, and so some people add that criteria to what is racist. Some people would go a step further and say everyone has the right to associate with whomever they want to, and doing so isn't necessarily racist — in the same way you're allowed not date people of a certain race if you don't want to and that wouldn't make you racist. So if you choose to only have friends of a certain race then that doesn't make you racist either, they argue. Other people would say, well if that's OK, if that doesn't make you racist, then what does is having all those things mentioned up until now but in addition to that having a condition where you're actively going out and harming people of other races: You're burning a cross on a black person's lawn, you're bombing a synagogue or a black church, or physically going out of your way to harm people of a different race — that makes you a racist. Well OK. Look at this whole entire spectrum here and notice how it went from just making a racist joke one time making you a racist, to all the way on the other end of the spectrum where you must actively be going out and harming people of another race physically and not just merely making jokes; you must go out and you must physically attack someone of another race or try to destroy their property. And only that makes you a racist. Think about that. This is a huge debate here and I'm not sure I know exactly where I land on this spectrum, although I think I'd probably stand somewhere in the middle. The Google definition of a racist is "a person who believes that a particular race is superior to another." That certainly is racism but I think this definition is a little too strict. What if one thinks they're racially superior, but never discriminates against anyone based on race? What if one discriminates against people by their race but doesn't think any race is superior? These questions make defining racism a bit difficult. But back to the original question: is Donald Trump a racist? I'm going to be writing an argument that uses core theory to argue against free will, souls, and for materialism. In the mean time, here are some prerequisite questions to the person who would attempt to deny physics has any ability to give us decisive answers to questions about free will and the existence of souls and who thinks these things exist beyond science. 1. If we have a soul, and that soul gives us free will, wouldn't it have to be the case that this soul has a force that has a causal effect on the physical matter that makes up your body that overrides the existing natural forces known in physics? Yes or no? 2. If yes, that soul-force is either accounted for in the laws of physics or it is not, true or false? 3. If it is accounted for, where in the equations of physics is this found? 4. If it isn't, then where is the evidence of a 5th force overriding the natural forces governing your body? This should have been discovered since this 5th force must be affecting the atoms in your body every second you exercise free will and make a choice. 5. If this force is not part of the existing forces, wouldn't it be injecting new energy into the universe violating the law of the conservation of energy? Yes or no? If no, why not? There's a new YouTube channel called MultiversalJourneys that seems to be dedicated to clarifying misconceptions about various scientific theories and one of its videos is on the multiverse. It features Sean Carroll, who's one of my favorite science communicators today and defenders of naturalism. There are so many misconceptions about the multiverse hypotheses in physics that it's necessary for the experts to constantly educate the public on what it is, and what it isn't, and why many scientists think we do not live in a singular multiverse. It's worth a watch.